384,181 vehicles were recalled to replace defective gearboxes that may result in the loss of acceleration. Models include the Golf, Magotan, Sagitar and Audi A3, China's quality inspector said on its website. Research firm LMC Automotive estimated the replacements will cost between 3,000 yuan ($483) to 10,000 yuan per vehicle. The recall comes less than a week after state broadcaster China Central Television featured Volkswagen customers in China complaining about abnormal vibrations, loss of power and sudden acceleration in cars equipped with the company's dual clutch transmission technology. The company is recalling vehicles with the seven-speed dry clutch version of its DSG dual clutch transmission, bearing the cost for replacing defective equipment and upgrading the software, it said in a statement. "There have been no injuries or accidents reported due to the DSG gearbox problem, as far as we know," Volkswagen China spokesman Christoph Ludewig said. The recall covers 21 types of vehicles including versions of the Scirocco, Bora, Touran, Octavia, Passat vehicles produced as far back as 2008 and as recently as this month, according to the state inspector's statement. For Volkswagen, which sold 4 of China's top 10 selling cars last year, complaints about its 7-speed DSG in China aren't new. 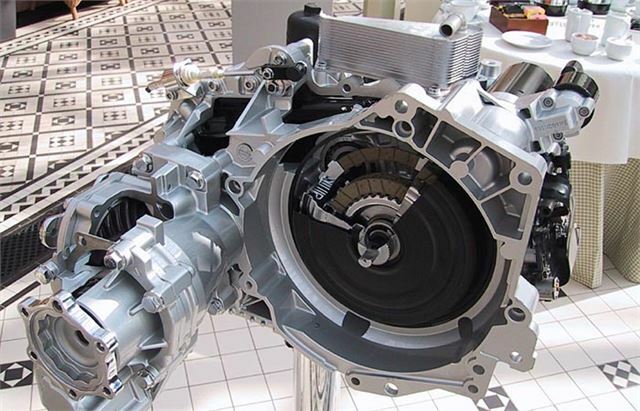 In May, the company agreed to extend the warranty for the transmission technology to 10 years, compared with the standard warranty of two years, to address consumer concerns. China's quality inspector said it began investigating complaints related to faulty Volkswagen gearboxes in March 2012. Two months later, the company extended its warranty for the transmission system after several rounds of talks with the regulator, according to the statement. A malfunction of electronics in the gearbox or inadequate pressure may result in the loss of power, presenting a safety threat, according to the regulator. Volkswagen gearboxes were defective and posed a safety concern. The move also comes after China introduced recall laws this year giving the watchdog broader powers to order investigations and impose fines on companies that fail to call back faulty products in a timely manner. Despite all the articles about poor VAG reliability (1 in 27 audi engines fail according to Warranty Direct) they still get 4+ stars in every car review I read. Makes me wonder about the quality of car journalism these days, seems to be superficial at best. hear hear. When i turn the first page of a car mag, it's German car adverts, and like you say, they never have a bad review. Odd that. Not like Honest John....far more balanced. I have heard quite a few complaints from DSG gearbox owners here in the UK but have yet to hear anything in response from the Volkswagen. The DSG box on my uncle's Passat packed up soon after the warranty ran out. Volkswagen response was: We're not obliged. Your car is out of warranty. It seems that the Volkswagen is willing to do more for its Chinese customers while here we've to be content with the so-called "perceived quality". And by the way hurrah to the Honest John for publishing this news. While other car magazines are pretending to be unaware of this development. If you run a DSG, make sure it is covered by warranty. Better still, get a manual or slushbox. Its a well known fact that the DSG is not a long term reliable semi auto box VW group take the ostrich principal here in the UK. If you have problems kick out to get repairs and extended warranty. Engines in the VAG range are generally bomb proof. Its that silly gearbox thats letting the side down. Ten out of ten to China for sticking their toes in and demanding things be put right. Personally Ill be sticking to vehicles with manual change and a proper clutch, just like clutches have been for years. I was and to an extent still am a VW fan having had everything from Beetles in the 70's through Golf's to a Tiguan in 2008, together with some of the (better?) Audi's such as 80 and 90 models, but quality has been sacrificed for price, weight and fuel economy. If I recall correctly a friend, well known in specialist and older VW circles; made a comment some time ago stating that VW's produced since 1988 were not of the same quaility as previous models. To be honest these are my words not my friends (! ), but while I personally think the Mk IV Golfs, Bora's and Passats from the 2000's may not be the cheapest to run and like any older cars they do require enhanced maintenance, the numbers on the road do give an indication of build quality and reliability. That said I do not believe modern EU performance and emission strangled cars whether VW, Audi or other makes will outlast the earlier cars, but of course we are heading for the US based "throw away" economy so loved by certain Polititians with vested financial and business interests.